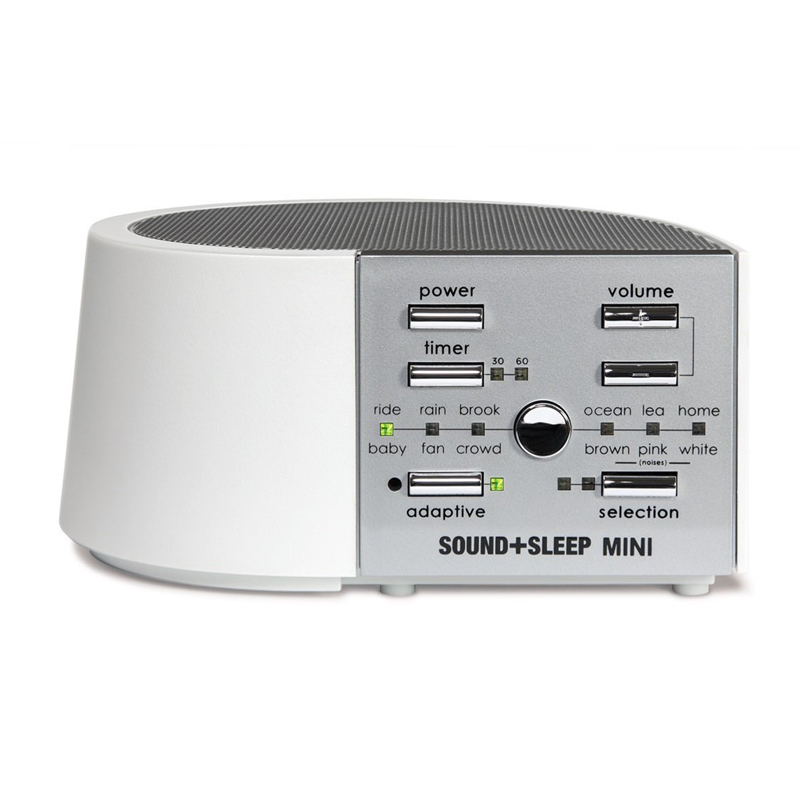 The Sound+Sleep MINI is streamlined and compact. It is designed for travel and smaller living spaces. 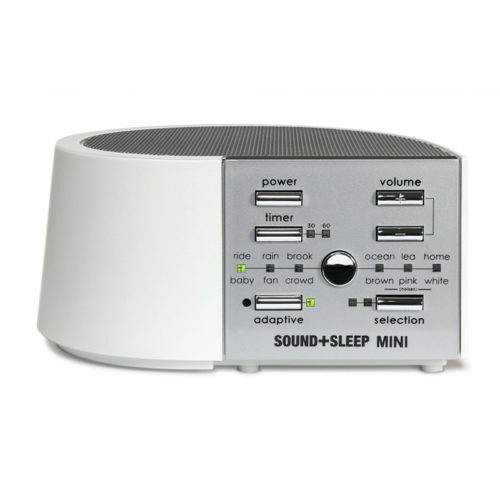 Like the original Sound+Sleep, sleep therapy machine, the Sound+Sleep Mini provides the realistic, natural sound environments and white noise to help you sleep better and mask out noises. 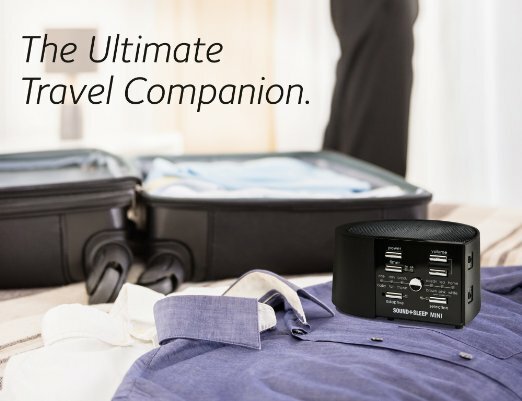 It also features patented Adaptive Sound Technology that listens and responds to background disturbances and can work off batteries to bring it on the go. 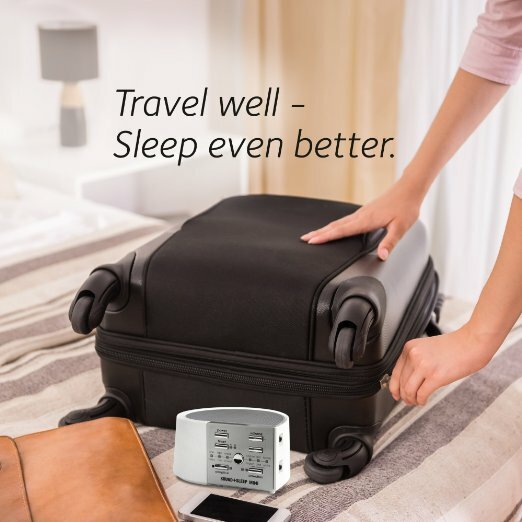 Get a better night’s sleep the natural way, wherever you are, with the SOUND+SLEEP MINI. SOUND+SLEEP offers 12 distinct sound profiles that are scientifically engineered to promote relaxation, deeper sleep, and a sense of renewal. 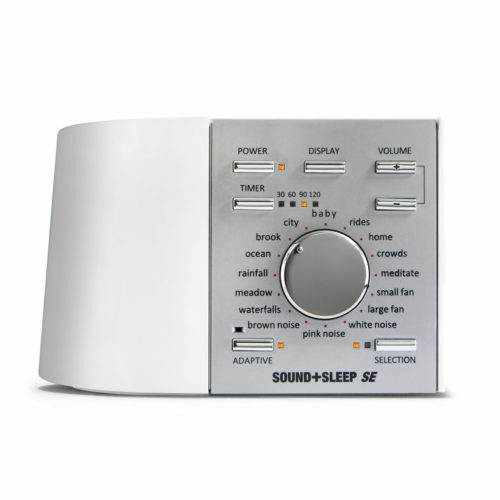 Unlike other “white noise” sound machines, SOUND+SLEEP dynamically mixes together lengthy, naturally recorded, high-definition sounds eliminating repetition. The length of the recordings is important, but that is only part of it. SOUND+SLEEP “composes” the SoundStories on the fly out of a library of high-definition sounds, so that the composition you listen to does not repeat. Chill out to soothing sounds of the ocean, rain, brook, or a cascading waterfall with one-touch volume control. Or drift off to sleep listening to relaxing meadow, fireplace, city, or train sounds. 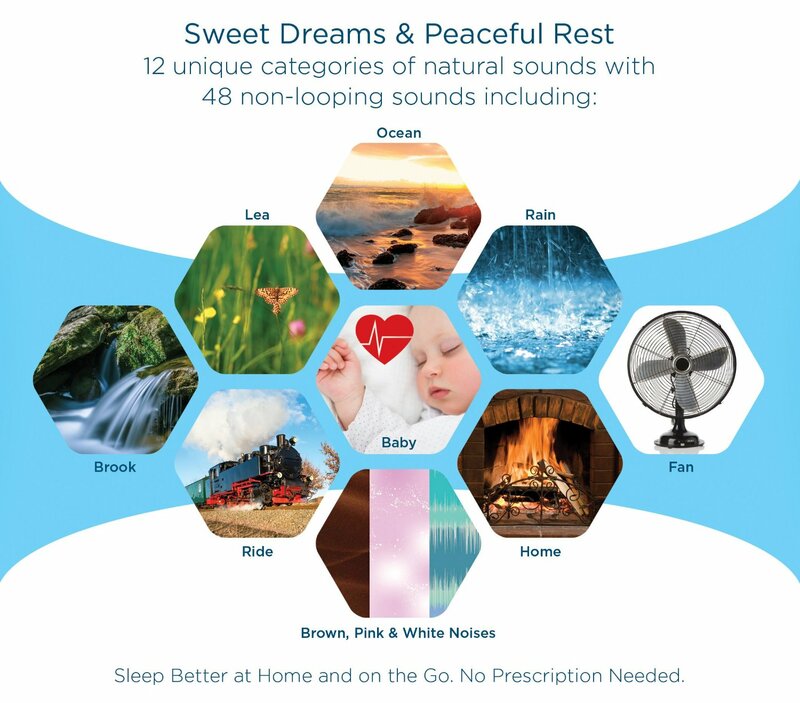 SOUND+SLEEP also offers white, pink, and brown noise sound profiles. SOUND+SLEEP is the only machine that has Adaptive Sound technology, automatically adjusting to detected background noise for uninterrupted peace and relaxation. This system continuously and automatically “listens” for ambient noise that can disrupt your calm state. Adaptive Sound technology responds to intrusive noises by remixing sound profiles and adjusting the volume to mask the noise without becoming disruptive itself. 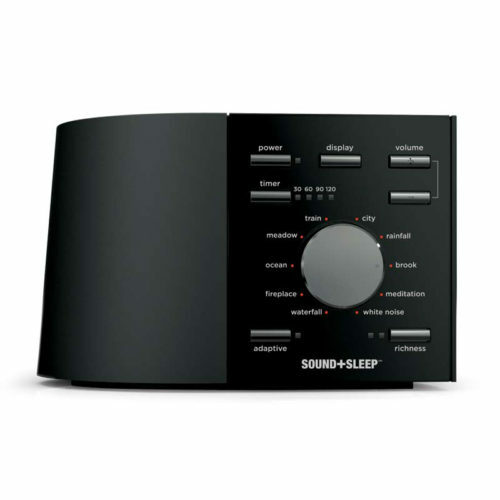 SOUND+SLEEP has a compact, sleek design that fits on a bedside chair or table. Operation is easy, day or night, thanks to display lights that can be turned on or off and a three-level sleep timer for gradual turn-off in 30, 60 or minute increments. You can play the unit all night or use the timer. The all-night continuous play option lets you keep the soothing sounds going until you’re ready to get up. .
SOUND+SLEEP comes with a full one-year parts and labor warranty. Ecotones SOUND+SLEEP MINI machine, power adapter, and instruction manual.